My family and I had a wonderful stay in Birch Pavilion at the weekend. It was a perfect house for a party of 14 with six small children and eight adults, with lots of room for everyone and lots to do both outside and inside. As it is near to Christmas, we were greeted by a Christmas tree and other decorations so it all felt festive. The owner was very welcoming on our arrival. We had a fantastic stay at Birch Pavilion over the Bank Holiday weekend. We were 8 adults and 7 children and there was something for everyone. It is a very comfortable house with a lovely homely feel. 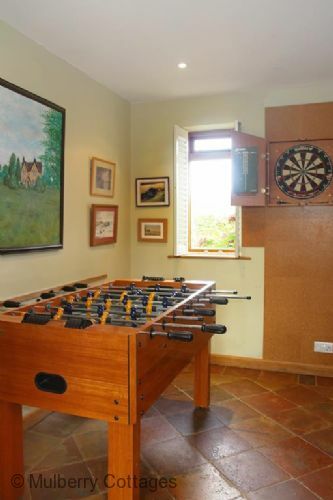 The pool table and table football were well used as was the tennis court and football on the lawn. We didn't feel the need to have days out but just enjoyed the lovely surrounding area. 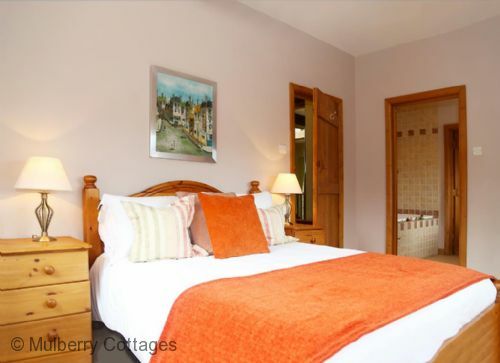 We would recommend this house to everyone looking for somewhere to spend time with family and friends. The only criticism we had was that quite a lot of the crockery is chipped but otherwise it was very well stocked with everything you would need to feed 15 people. 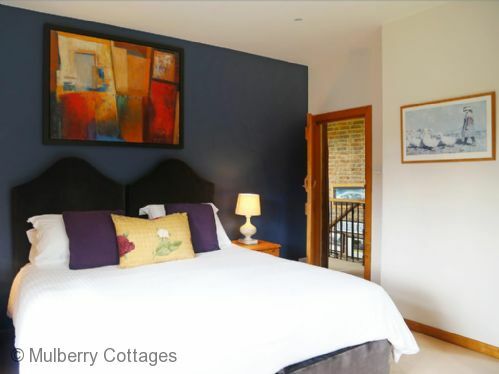 Thank you to everyone at Mulberry Cottages and John Bee for looking after us so well. We recently stayed in Birch Pavilion and we all had a brilliant time, thank you so much for your help. We are definitely aiming to return next summer! What a fantastic weekend! 14 of my nearest and dearest chose Birch Pavilion as the place to gather to celebrate my 30th Birthday. I can personally say the house and the surroundings contributed to the most special birthday I have had to date. 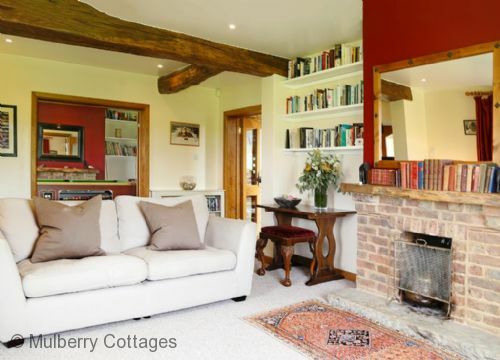 Absolutely Fabulous, it feels like a house which has been well - loved, comfort in every corner. The beds - we had the best sleeps ever!! Thank you we will definitely be back. Its a beautiful and welcoming house in a beautiful location. We are a family of 16! Over three generations and its difficult to find somewhere that can accommodate all of us. We had a really wonderful time here. Thank you. Thank you for a wonderful week in this lovely house. We went for a lovely walk around the grounds and saw Deer which was wonderful. If you wake up early enough you can sometimes see the deer at the garden fence! Wonderful weekend celebrating a 50th Birthday! What a beautiful home you have, I hope we have the chance to come here again. A great weekend away with 3 families enjoying the warm welcome from the owner and his beautiful house. Thank you for sharing your home with us. Of the many self-catering houses we have stayed in over the years, this is by far the best. The rent is completely justified by the outstanding accommodation. We have never been anywhere so striking, well-equipped and spacious. We hugely enjoyed the two games rooms - playing pool, darts and table-football so much so we didn't get round to using the gym. We made good use of the piano and the separate TV room. 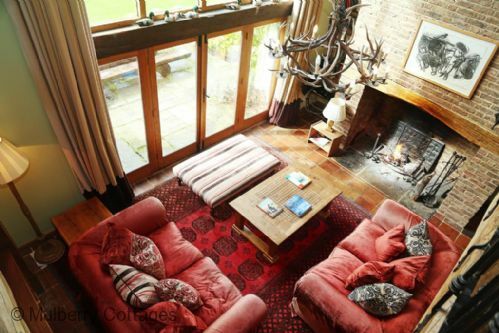 Sitting together over meals or on sofas by the fire in such lovely surroundings was a pleasure in itself. 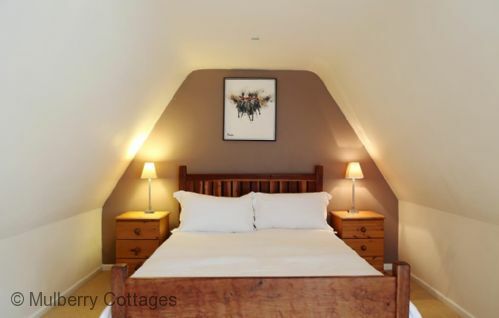 The house is beautifully set in the seclusion of the Sussex countryside; we feel delighted to have found it. 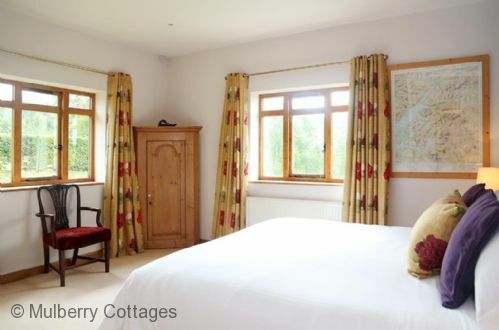 This is our fourth year staying at this wonderful property and we can’t rate it highly enough. 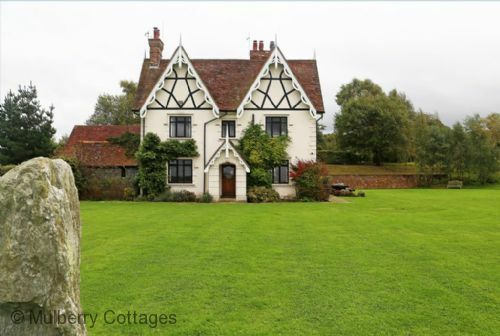 Set in stunning countryside that is ideal for walks and close to Tunbridge for shopping and day trips. 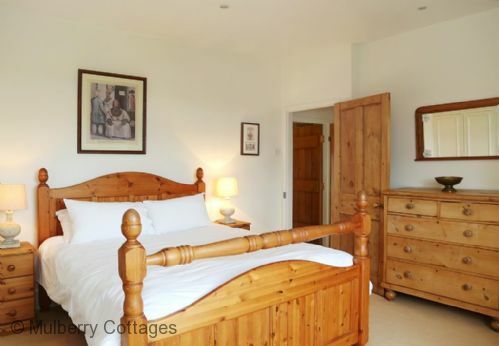 The inside of the property is spacious and decorated to a high standard with very comfortable furnishings. For a group of 10 + 5 kids we had ample space and the communal lounge/kitchen/dining area was great for chilling out and socialising during the day. A huge fire at night is a must and the owner is very helpful on any extra requirements you may have. We will be back again! 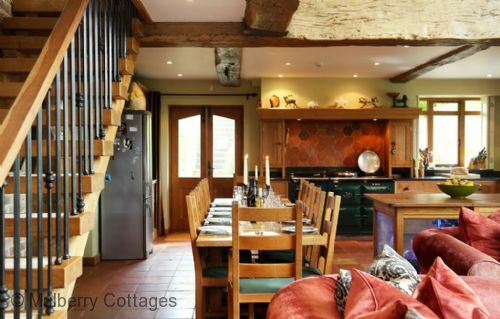 Birch Pavilion is really a remarkable cottage for a retreat and holiday as it is situated in "The Garden of England. "- Frant, Tunbridge Well, Kent. My friends and I (totally 12 Chinese from Hong Kong) had extremely enjoyed our holiday inside the Villa which is not only beautiful but well equipped like a sweet home. At last but not the least, the owner's warm hospitality was far beyond our expectation. We have nothing to say but "Bravo! Bravo! Bravo!" I would like to thank you for this wonderful weekend we had in Birch Pavilion. 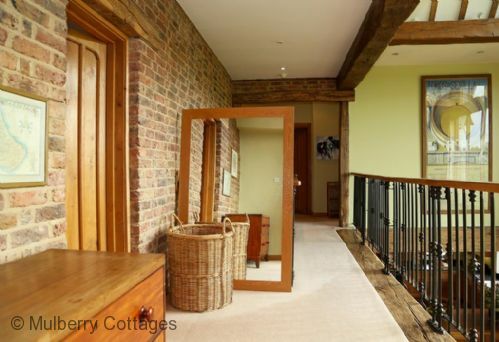 The place is absolutely beautiful with amazing views of the countryside and easy access. Probably the best place I ever got to stay at in Kent. I would really recommend the place to anyone looking for a getaway for the weekend, or even longer. Thank you again for everything, we had an amazing time. Birch Pavilion was absolutely perfect for my wider family and I to catch up. I was continually complemented on finding such a nice place! Everyone slept well, the big open space worked well with my family + the added bonus to chat over a game of pool or whilst food was being prepared really worked well. Many Thanks. We booked Birch Pavilion in the depths of winter and our main priority was to find somewhere away from it all, warm and welcoming in which to hide from the weather. We couldn’t have made a better choice: a really warm (literally and spiritually) home with a huge fireplace and endless logs to burn! 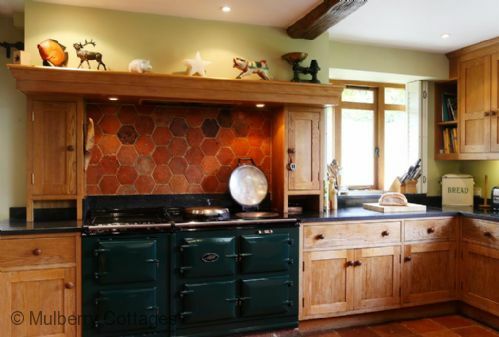 An equally warm kitchen with double Aga action and a talking goldfish*. 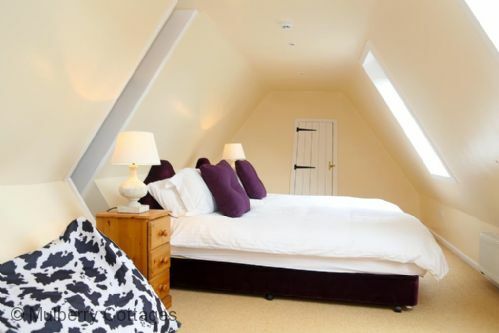 Bags of boutique hotel quality space for our families; spotless and totally draft free. 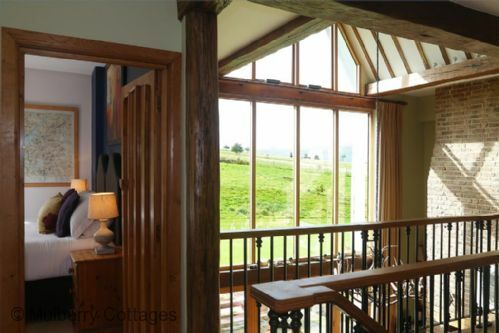 The Minstrel’s gallery, double-height lounge, and views out to the countryside just reinforced the sense of occasion. And the owner John was as friendly and accommodating as his home. Totally recommended. 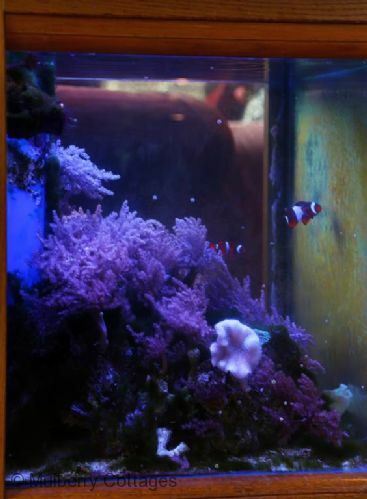 * The goldfish tells jokes if you drink loads of Merlot way into the night and include it in your conversation. Beautiful house, excellently equipped. Lovely rooms. Amazing views and garden... so much space. 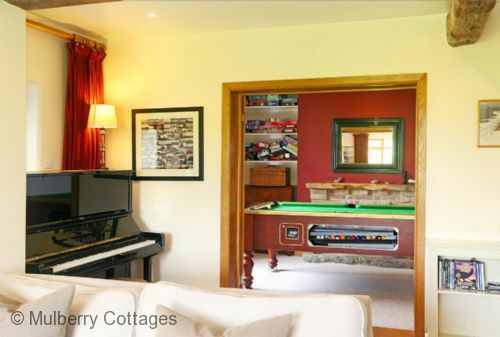 We had a family gathering here and there was something for everyone from the fish tank to football table to snooker/pool. Really had a great time and would wholeheartedly recommend Birch Pavilion. Just wanted to email you and say what a wonderful time we had at Birch Pavilion this past weekend. It is the second time that we have met up with family there for an 'early Christmas', and the second time round was just as good as the first. 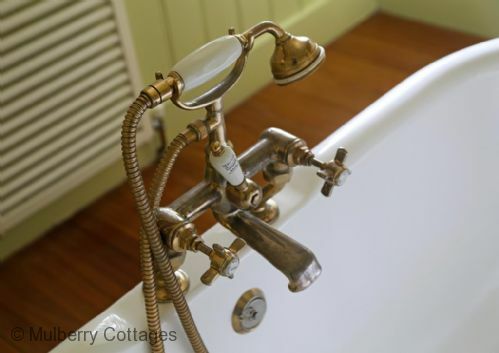 The house was in great condition, excellently equipped, and exceedingly comfortable.... lovely and warm, a cosy aga and great open fire along with an endless supply of logs. The rain poured the whole time we were there so we weren't able to get outside and enjoy the beautiful countryside as we did before, but no one got bored with the football table, snooker/pool table, and plentiful supply of books and games.... not forgetting the fish who also kept my two young boys amused! We would certainly return again (for a third time!) and would recommend Birch Pavilion unreservedly to our friends and family.... we just wanted to let you know how lovely we thought the house was... Thank you! I thought you might like to know that our family, having just spent a week at Birch Pavilion, had a simply fantastic time. 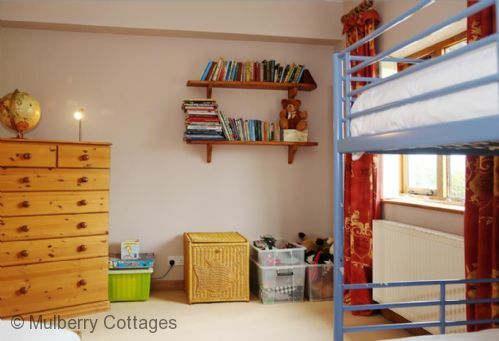 It is a truly lovely house: practically laid out/arranged, comfortable, not so smart that you feel on tenterhooks in case your children/grandchildren make a mess, but like a very attractively decorated home from home. There were lots of games for children and the most beautiful views of the surrounding gorgeous countryside, which was easily accessible for walks. There are also lots of things to do nearby both for adults and children. We all (without exception, from age 93 to 2) absolutely loved it , the owner, couldn't be nicer - he is very relaxed (ie not too precious) about his house and great fun. Birch Pavilion feels like a home from home -we wish we lived there! Beautifully decorated and spacious even for our large family get-together. We loved the tennis court with its wonderful views and being able see herds of deer from the window or on walks from the property was so special. An excellent house with everything you could need. Very welcoming owner. 14 friends had an amazing weekend in this amazing house & grounds - couldn't fault anything - will return in the years to come. It felt spacious yet homely. The host was very helpful before and during our visit but never intrusive. we felt very comfortable in the house. 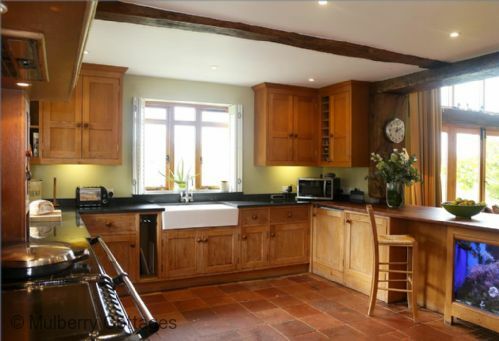 The Aga is amazing and the dining area and kitchen are the perfect size for entertaining large groups. Excellent location and the Pavilion had everything except the food and booze! Owner very friendly and helpful. Thoroughly recommended. Perfect house for a large family. Superb house and facilities. Great for adults and kids. Really enjoyed our stay there. Just stayed for New Year, lovely house, easily spacious enough for the 14 of us. Lovely local walks and we found The George in Frant - very friendly with excellent value food. We received very helpful service and even amended our original booking to have an extra nights stay. It was lovely to have the place to ourselves the first night and ensure we had the essentials before the rest of our party arrived. We really loved the quiet location with great views over the deer park etc.There where 13 adults and 2 young children with ample space.The property was well equipped with all the comforts of home and more.There are some lovely walks from the house, much needed after a night or two of over indulgence..!We celebrated my wife's birthday with family and friends and had a great time playing pool,darts,games etc.It felt like days gone by when people made their own entertainment it was only a shame that no one knew how to play the piano.All the old songs were played on the music system provided (C.D.S.) so we sang and danced to them into the early hours. We will surely visit again. A big thank you to the owner and everyone who helped us enjoy this wonderful property in such a lovely setting. The house was accurately described, well situated and beautifully prepared. We lacked nothing to make our stay memorable and we would have no hesitation in recommending Birch Pavilion. Great property. Completely suited our needs. The owner was lovely and very generous. He welcomed us into his beautiful home and we had an unforgettable weekend! We had a really great time thanks and the house is amazing. It was perfect for us with the kids and the boys loved all your sons toys. We were lucky enough to spend three weeks at Birch Pavilion while working in the area sampling streams. We were not a typical holiday booking and had three members of staff, nine university students, along with a trailer, minibus, two 4x4s, samples and equipment! This information can sometimes scare off owners, but from the time of booking the owner was not prejudice against the demographic or purpose of the stay. In fact he allowed us additional storage for our equipment in the gym and garden space for hanging out our samples to dry. The owner greeted us and showed us around, it was nice how this accommodation felt like a home and he invited us to use anything that was not bolted down, for example there were spices and condiments etc. For the purpose of a relaxing holiday or working 'field base' in our case, the property provided everything you could wish for. It was fabulously clean and spacious and finished to a very high standard with probably every kitchen utensil and great large sized pots for large groups. 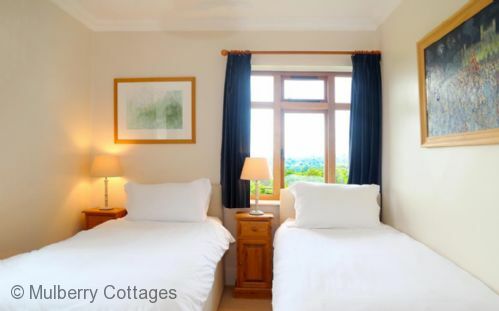 There are lots of areas to relax both inside and out with beautiful views, deer and sunsets and great proximity to a main road to get out and about. The owner and his lovely home made working for up to 15 hours a day for three weeks a pleasure and I would definitely recommend to family, friends and colleagues. August 2013 Just had a great week with the family at Birch Pavilion. The house, grounds and views were superb. It was good to stand in the garden and not see another house just hills, fields, woods and deer. The 4 small children in our party had lots of room outside to play about safely and there was plenty to keep the adults amused as well. The area was also good as there were plenty of places to visit nearby especially if you belonged to the NT. This is the only property that we have stayed in over the last few years that we would all consider coming back to. Many thanks John. fantastic holiday and really nice to have the owner so close. Feels very much like home. We booked this for a special occasion, to bring friends together and the house is perfect for this. The Birch Pavillion definitely has the wow factor with beautiful views of the countryside. All of us fell in love with its beauty and didn't want to leave, we are now thinking of excuses to go back! Birch Pavilion is like going home to a house you wish was yours! Despite its size, its high ceilings, its luxury feel and its open plan space, its a very sociable and cosy house - I like the fact that the owner meets you at the door and makes sure that you understand how everything works and that you feel at home as soon as you arrive. It's the "what's mine is yours" approach with very few rules and regulations that is refreshingly different from other 'big house rentals' and which makes this a very relaxing place to chill out (or in my case party!) Highly recommended! Really enjoyed our stay at Birch Pavilion. Was a much more tasteful property than it looked in the photos. We spent a fantastic 3 nights at Birch Pavilion, we were in a group of 14 to celebrate my 50 birthday and the house more than accommodated all of us .We woke to snow on the first morning and the sight of deer in the field , all very magical. The house is wonderful and warm and homely and more than exceeded all our expectations, quite an achievement when our ages ranged from 9 to 78. Many thanks to John for allowing us to share his home and we hope to return again one day soon . We (12 of us) spent a lovely & relaxing 4 nights at Birch Pavilion & had a wonderful time. The house & facilities are excellent - all very homely & welcoming - nobody wanted to leave the place especially once the log fire was lit. The kids loved the table football & the dog enjoyed eyeing up the deer on the other side of the fence! Thank you John for letting us stay. We had a wonderful weekend at Birch Pavilion. It was the perfect place for our writing retreat. There were so many communal living spaces that everyone was able to find somewhere comfortable to work during the day - and with a fantastic view. The walks from the house were also stunning. Birch Pavilion had everything we could have needed and more, and it was warm all weekend despite the snow outside. We are already planning our return visit. Many thanks for a wonderful weekend. All 13 of us were extremely impressed by your cottage. Your hospitality comes through in your already impressive home. For those of us that got to know you better (with our car catastrophe etc! ), you were extremely helpful and went above and beyond. All I can say is we are trying to get the first Xmas booking in - I think that says it all! Many thanks again. Thank you John! We had a fantastic week in your lovely home. Thank you for making everything so comfortable, a definite home away from home! The Welcome basket was full of very tasty goodies and was really appreciated by everyone. There is so much to do in the area and we had a great time visiting Groombridge Place, Go Ape (which was freaky but fun) and Hever Castle. You have been incredibly helpful and informative - definitely would like to come and stay here again! Thanks. Had a great weekend in your FAB house, so homely, so comfortable and relaxing. Thank you for letting us stay in your fabulous house, and all the great recommendations for things to do. LOVED the gift basket from the Farm Shop on arrival. The house feels like a real home - we'll be back!! We had a great time in your lovely house, thanks for the welcome pack, lovely local produce. Many thanks again. We had a delightful weekend in your beautiful home. Thank you for your kind hospitality, all the small touches have made the weekend very special. Such a special weekend. The house itself is beautiful and it is obvious it is a real home will all the comforts yet with added luxuries to make it such a treat. The surrounding land is stunning - try and find the rock behind the pines - a lovely place to sit where you can see for miles. We went to 'Go Ape' in Bedgebury Park - terrifying but a lot of fun! Only 15-20 mins drive away. John went out of his way to accommodate us and paid attention to small details. He kindly went to the Eridge Farm Shop on Saturday morning to fetch us our BBQ meat - the Chinese ribs, sausages and burgers were so tasty and it's great to think that all the produce is locally grown and bred. A big thank you for the gift basket and bouquet of flowers on arrival - all in all a fabulous weekend. We will definitely be spreading the word! 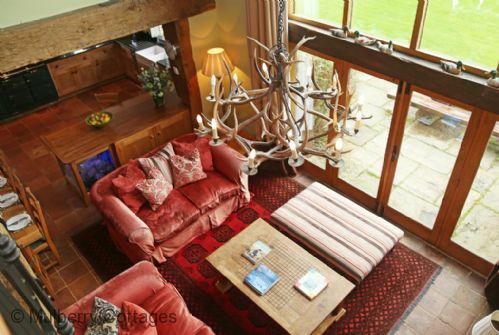 Perfect week-end away in Birch Pavilion. This a truly spectacular property - even better in real life than on pictures. It is extremely well equipped. We found everything we needed from all sorts of kitchen equipment (all of excellent quality), games and DVDs, books, recipe books, etc. We did not need to bring anything with us. John met us personally, and showed us around the house. The cottage is very warm! The fire was on, the flower arrangements and a complementary basket of delicious local food was the icing on the cake! There was not a single thing that we wished was better. Would highly recommend it and definitely stay there again! Thank you John! What a beautiful weekend at Birch Pavilion! 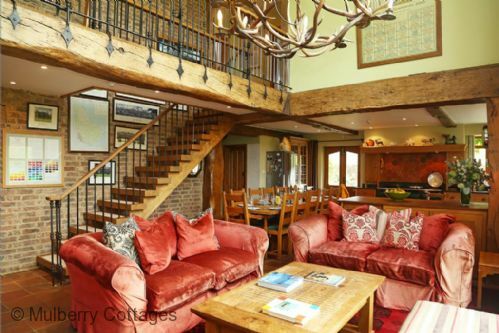 We were a group who were looking for a quiet weekend away in the countryside, and this luxurious house met all our needs. John, the owner, was easy to contact, and helped us to organise every small detail. On arrival there was a complimentary gift hamper with a selection of local chocolates and drinks etc from the estate, along with a beautiful bunch of flowers, also grown locally. The house itself has large private grounds and is completely secluded. 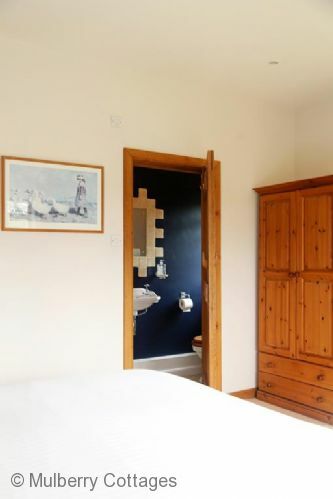 The bedrooms were very tastefully decorated and comfortable, and there were too many bathrooms to count, which meant we were never waiting to use one! John kindly allowed us to walk freely through the estate, which has breathtaking views over the countryside and animals. We also went to Bedgebury Forest which is only 20 minutes away where they have a Go Ape centre and mountain biking etc - very convenient! The kitchen is fully equipped and we made use of the good weather to have a BBQ with meat that was delivered to the house at the weekend from the local farm shop - the best burgers and marinated ribs we have tasted in a long time. In the evening we couldn't resist lighting a fire in the large open fireplace, which had been set up ready for us to light. 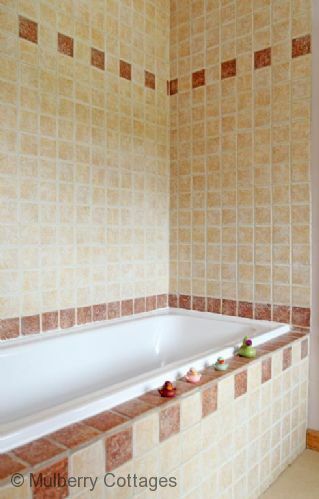 All in all, we would definately visit again and recommend this to anyone who would like to visit a luxurious setting with all your home comforts and more. Thank you to John and Lucy for a wonderful weekend!